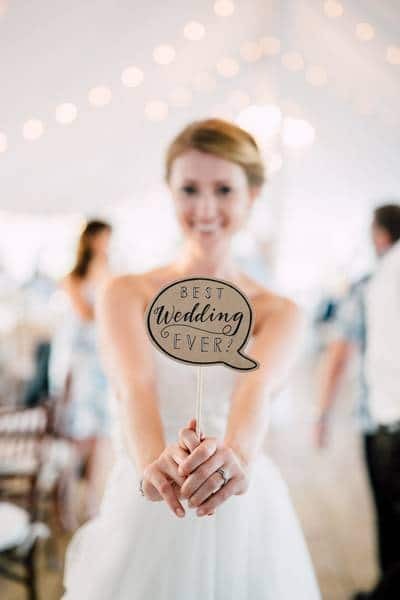 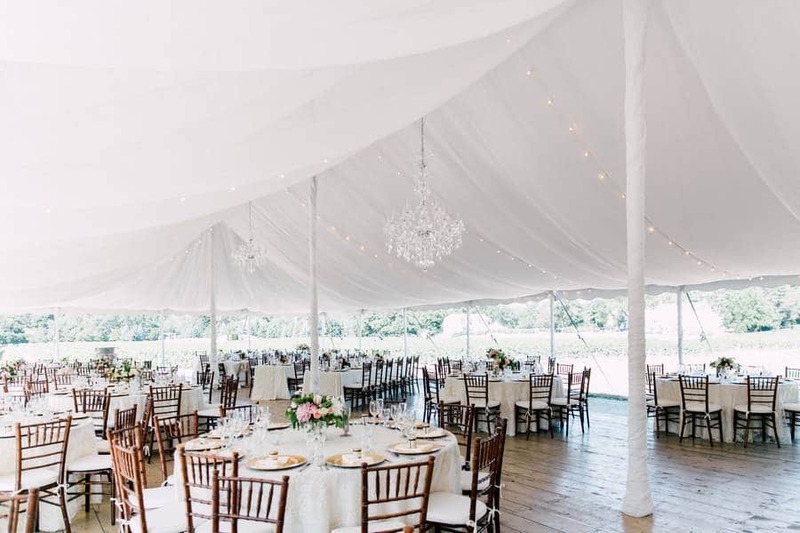 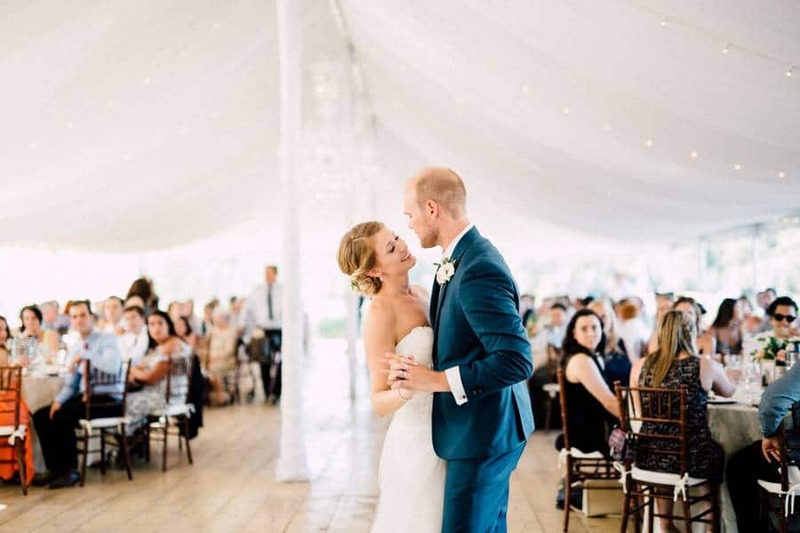 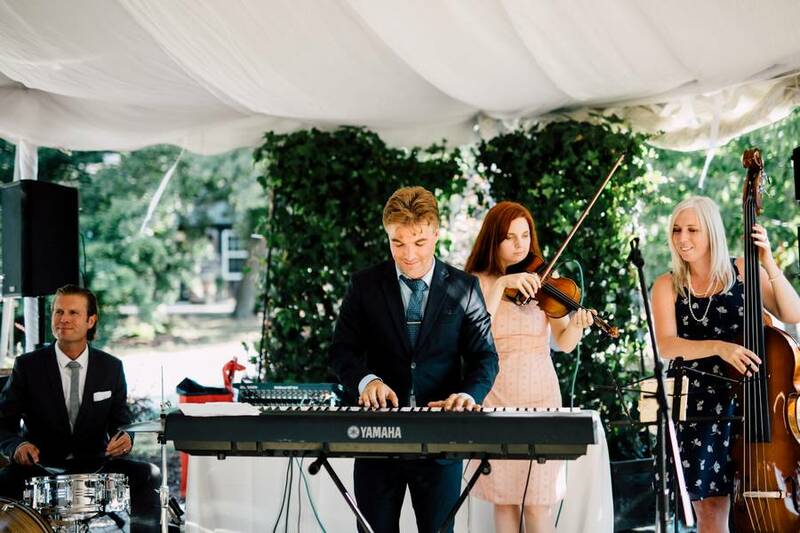 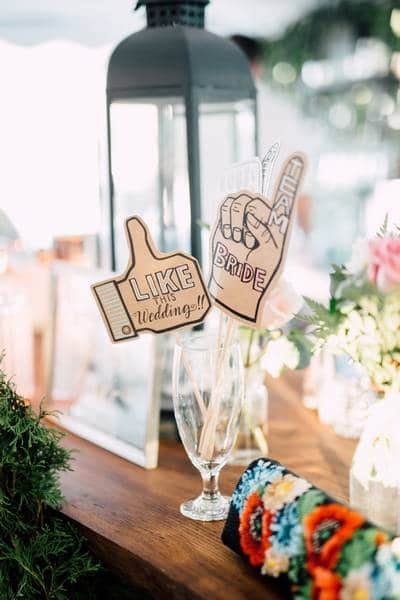 When Iryna and Brendan began planning their wedding, they envisioned a romantic, beautiful, tented outdoor wedding — lucky for this couple, their wish became the command of the team at As You Wish Weddings. 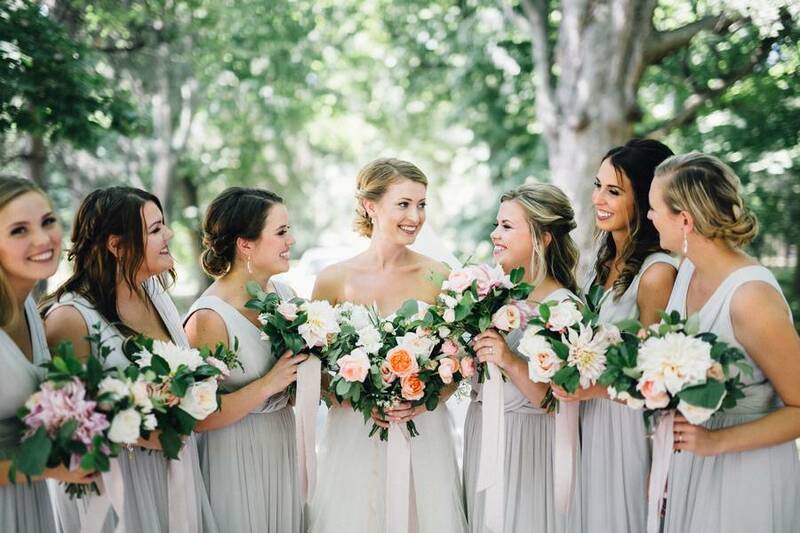 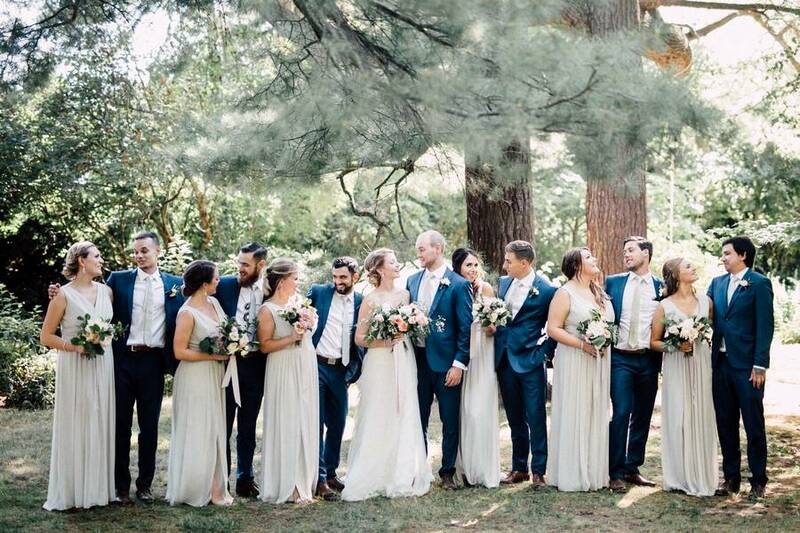 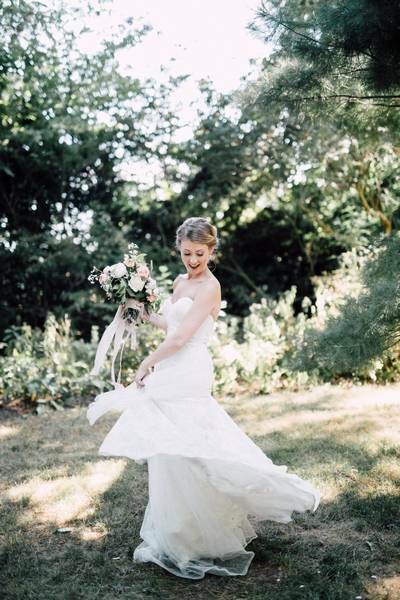 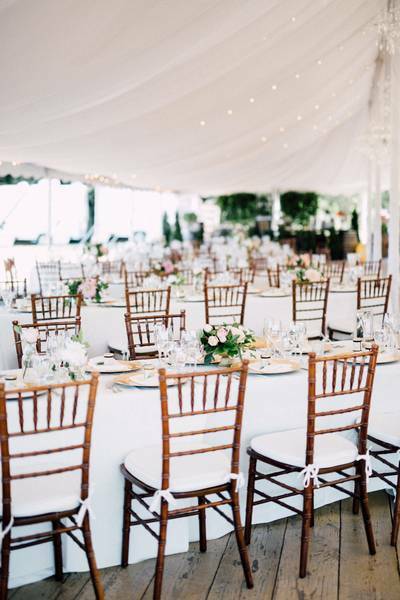 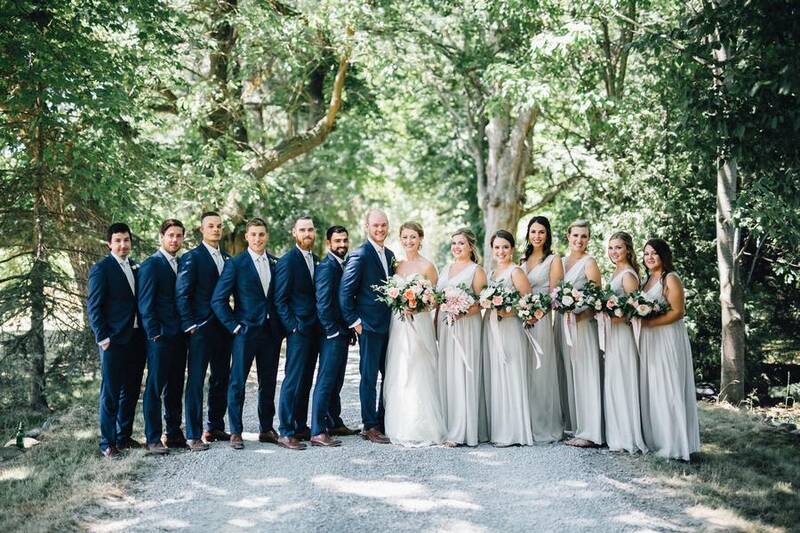 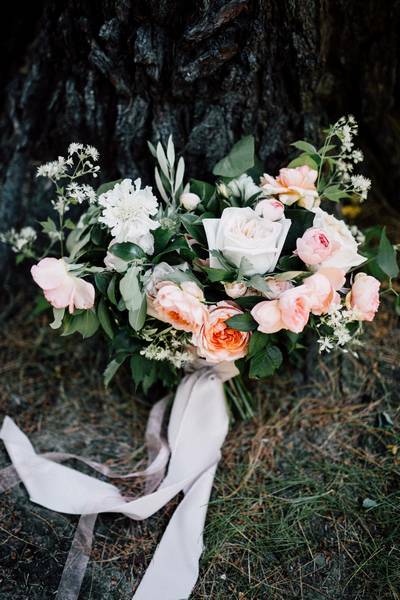 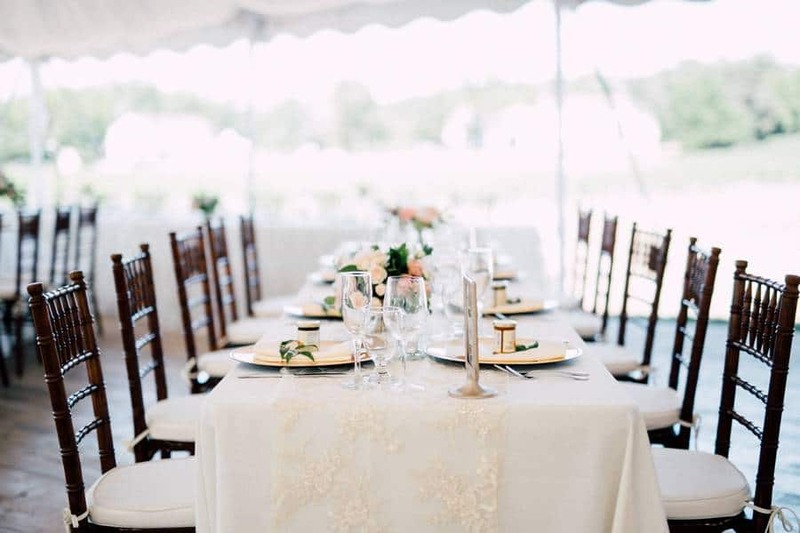 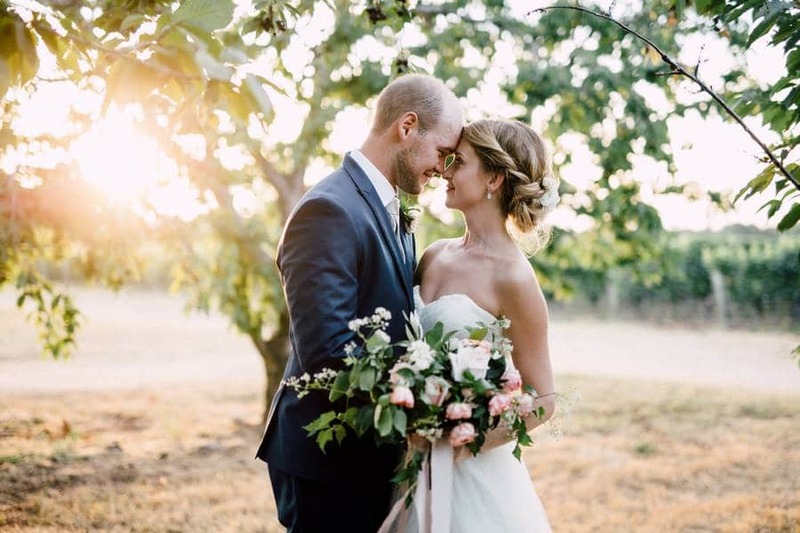 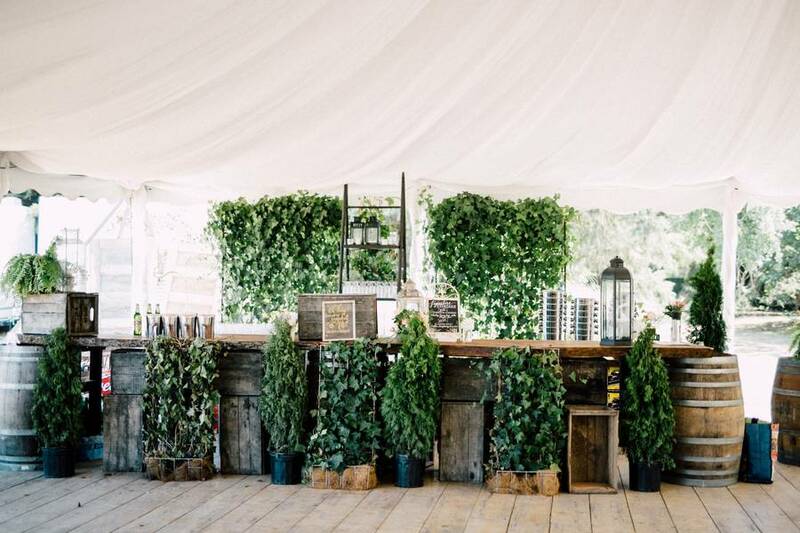 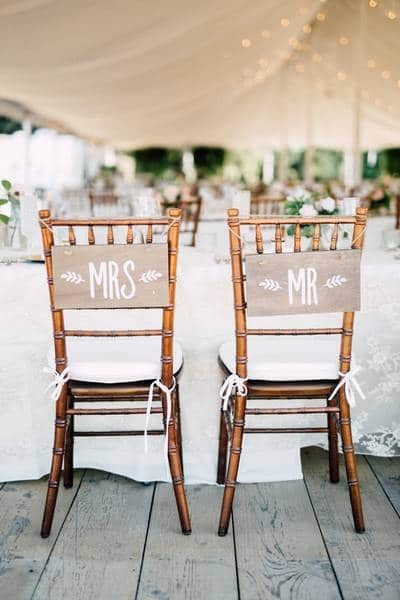 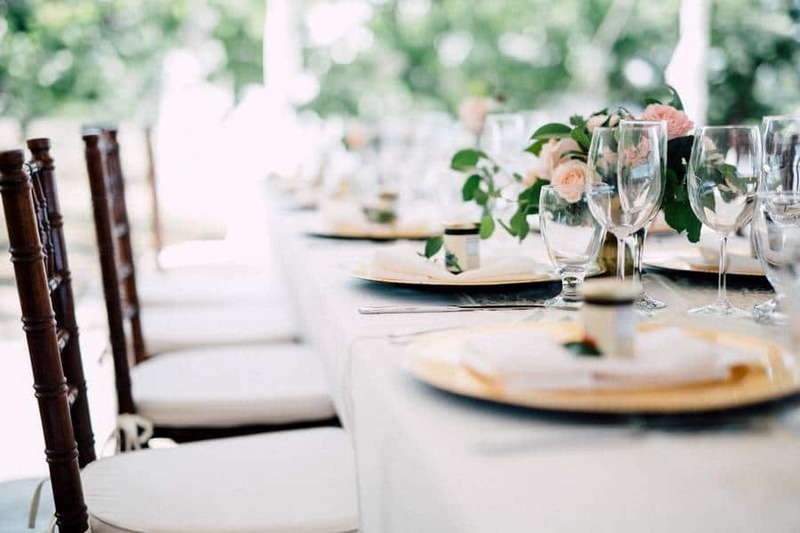 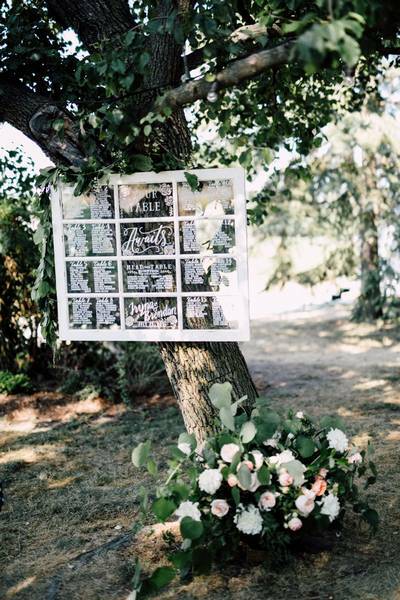 The couple’s elegant affair at Kurtz Orchards in gorgeous wine country is seriously stunning. 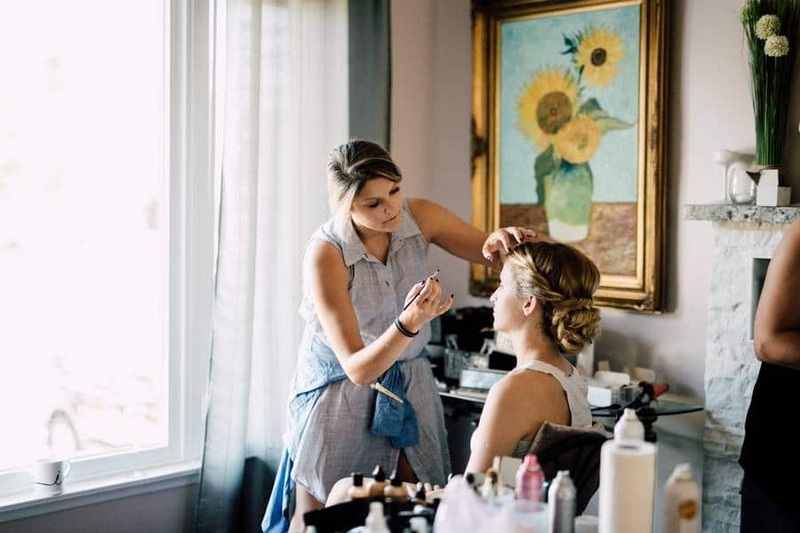 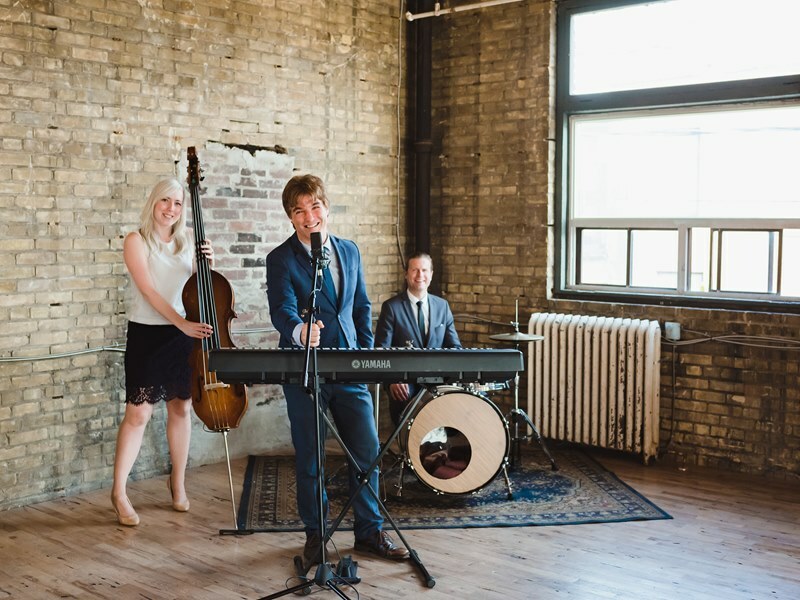 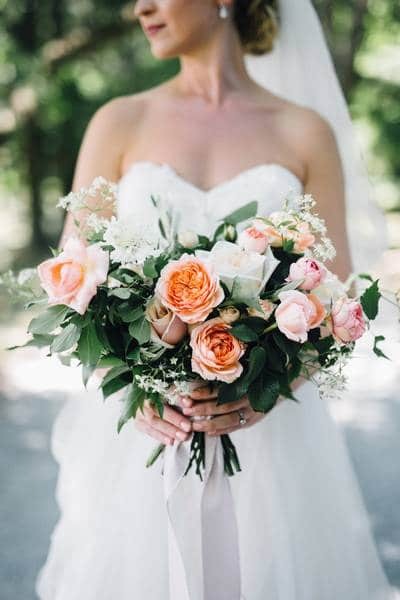 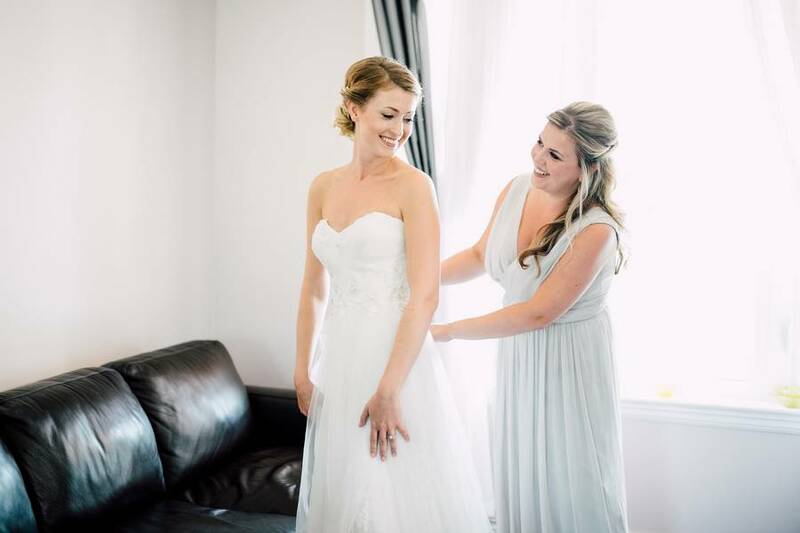 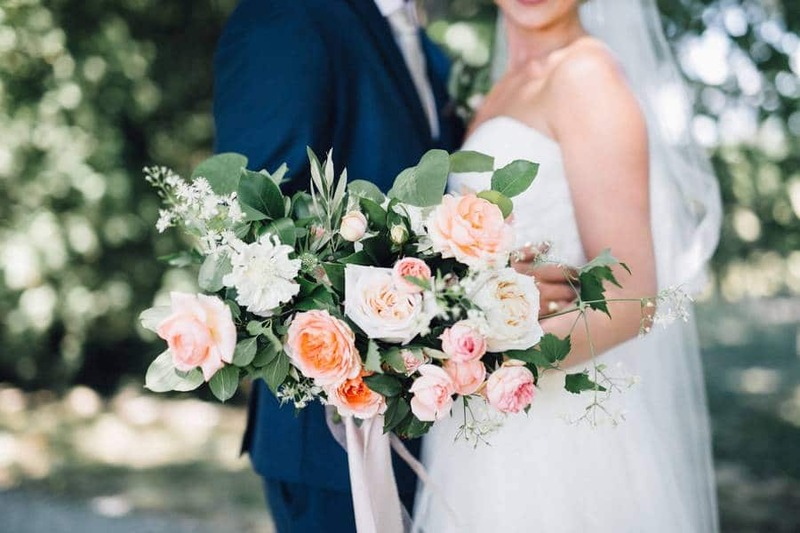 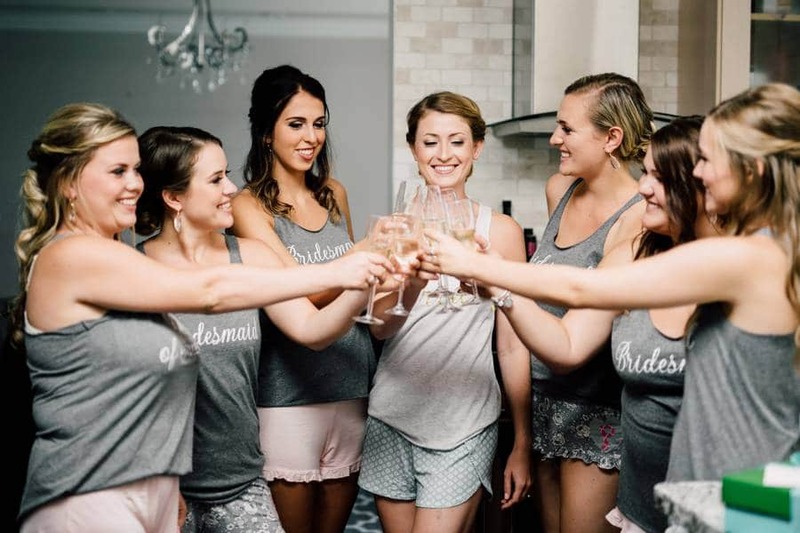 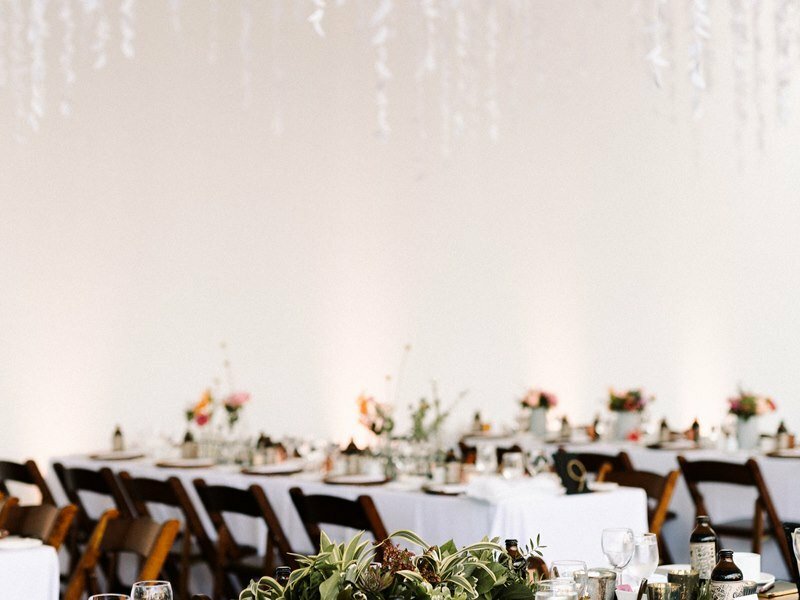 Though the couple’s wedding took 16 months to plan and curate, it’s been said that all good things come to those who wait — but you won’t want to wait another second to get a peek at how this wedding came together! 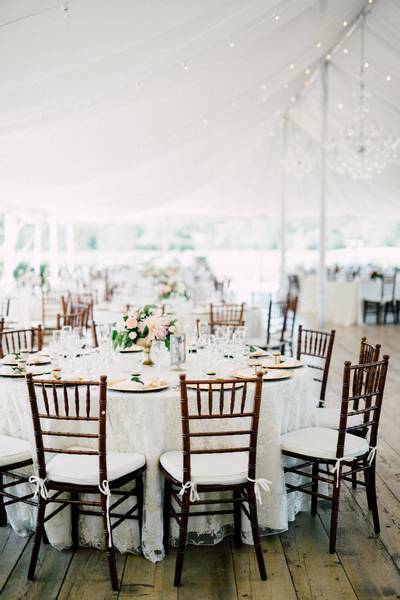 Thankfully, Simple Lace Photography was there to capture all the pretty details! 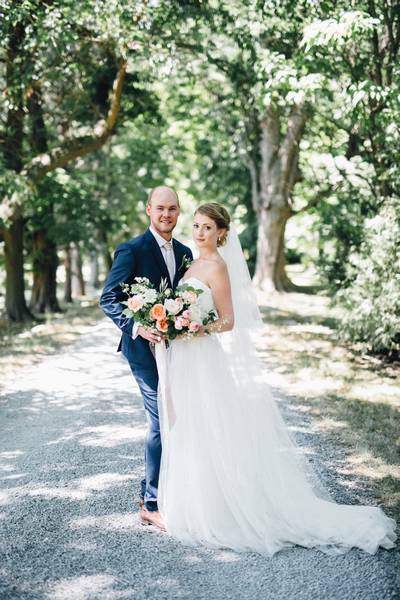 Stunning tall trees, bright sunlight, and the natural gorgeous greenery of the vineyards provided the perfect backdrop for the couple’s sweet photo session. 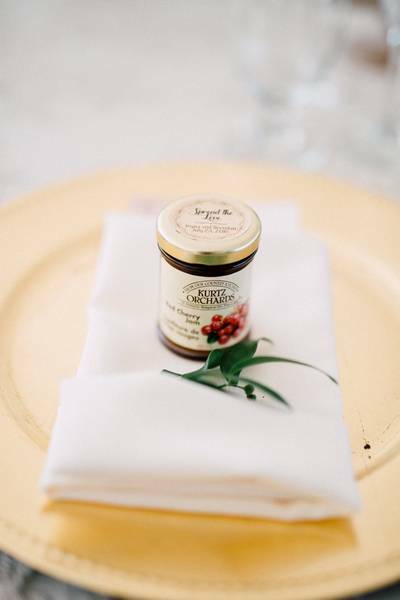 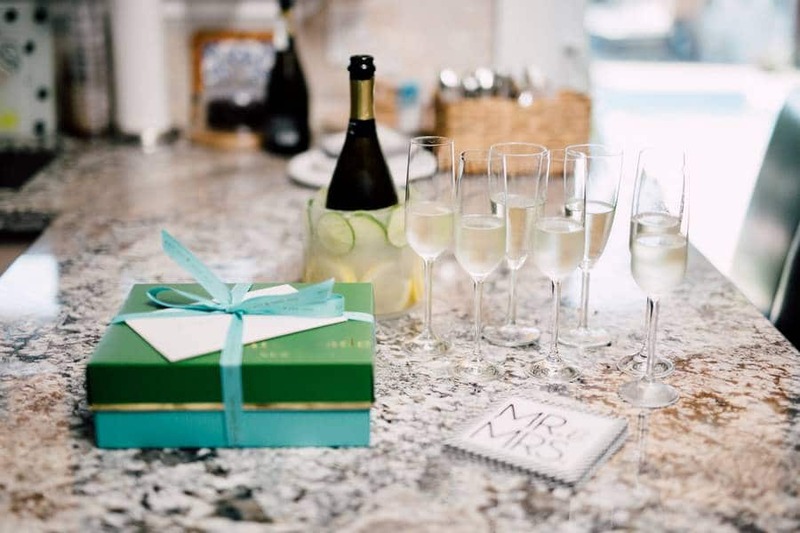 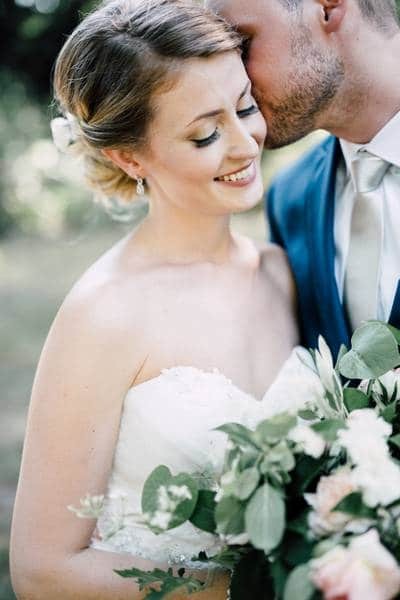 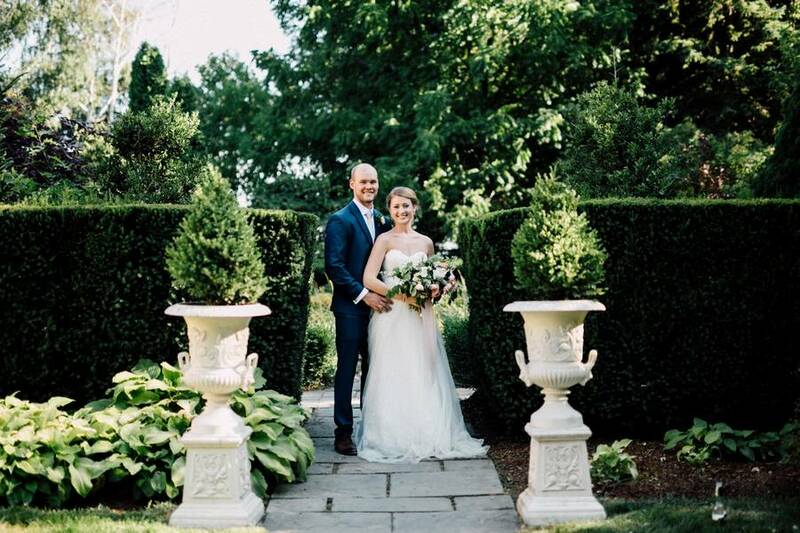 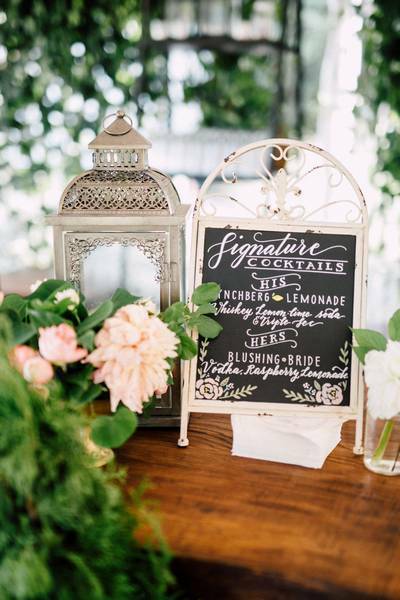 The newlyweds’ delightful reception is the epitome of polished, yet fun and sweet. 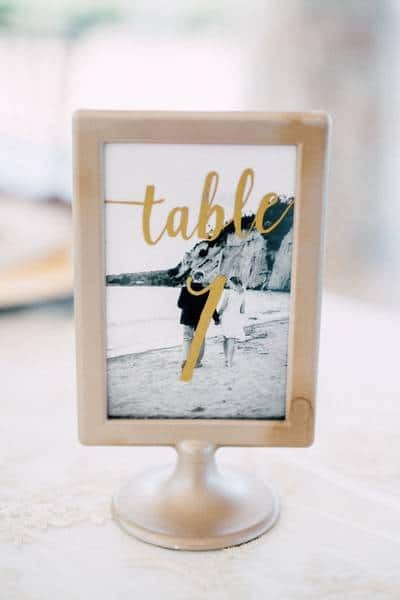 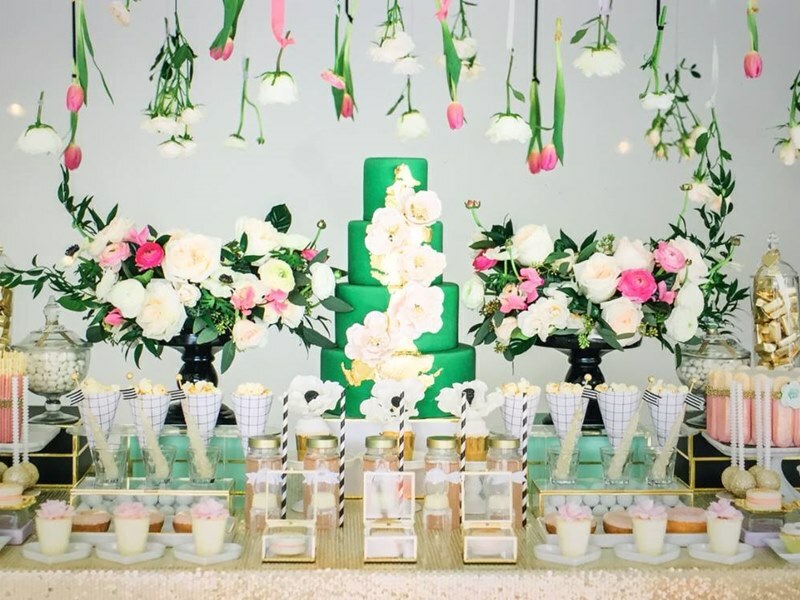 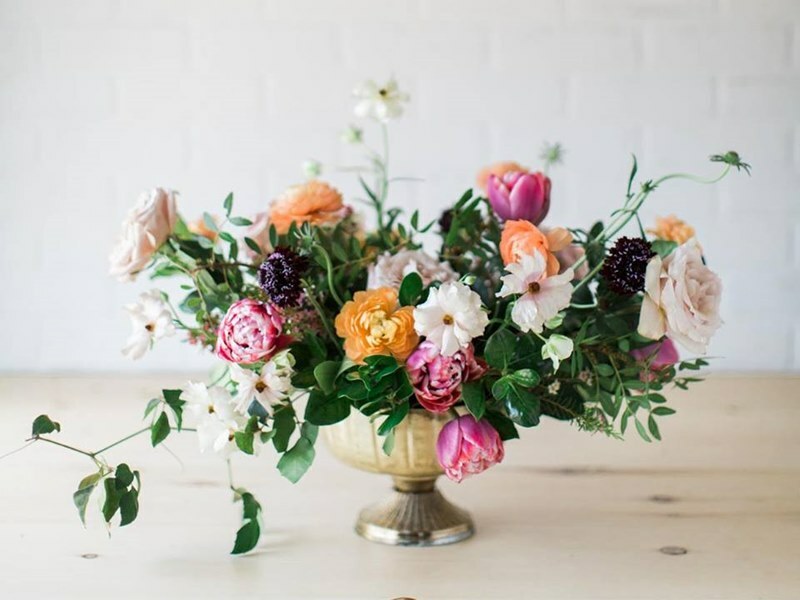 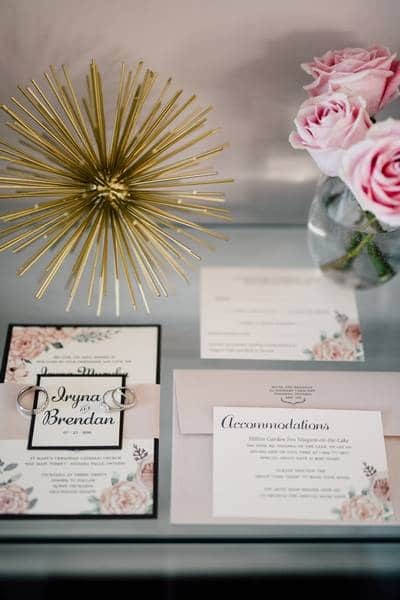 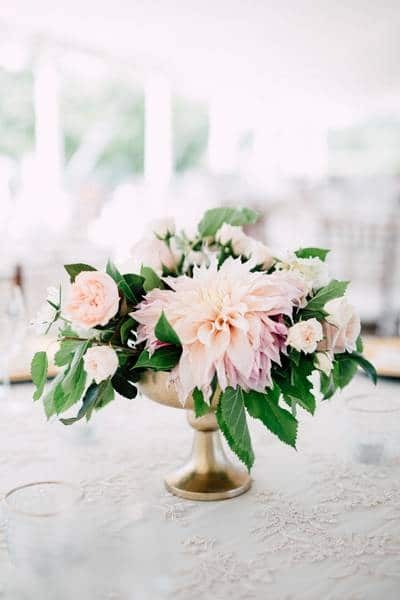 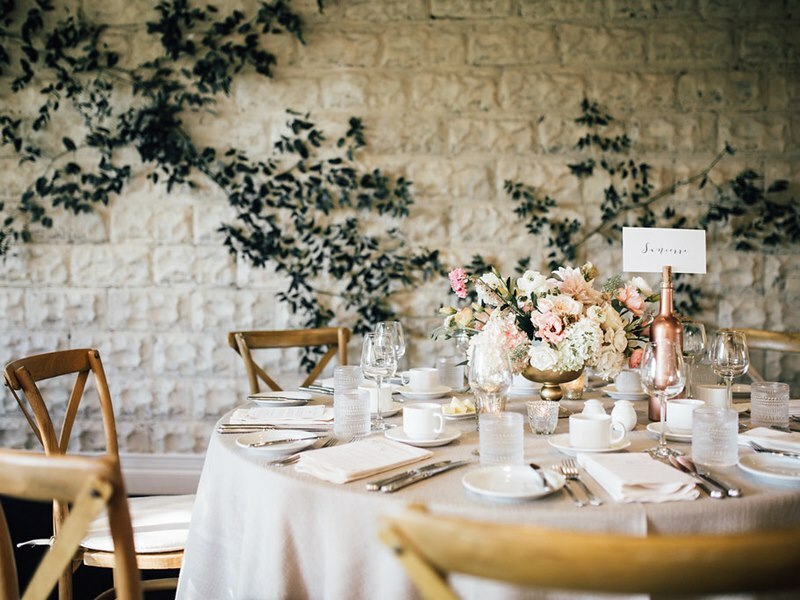 Darling DIY details alongside gorgeous vintage trinkets added a pop of whimsy, while the dreamy white palette, lush softly-hued florals designed by Bloom & Co., and a stunning crystal chandelier — la piece de resistance — emanated a sense of refined elegance. 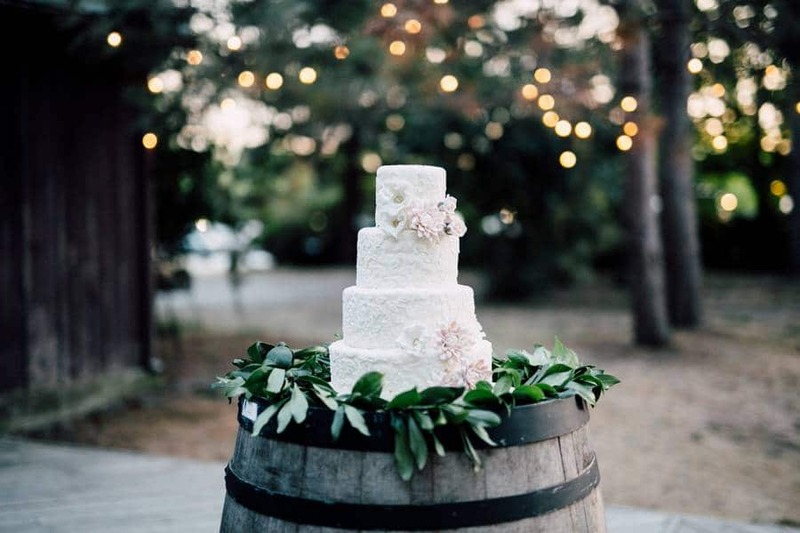 The couple’s stunning floral wedding cake from Sweet Celebrations proved the vineyard’s natural beauty was never far from the festivities. 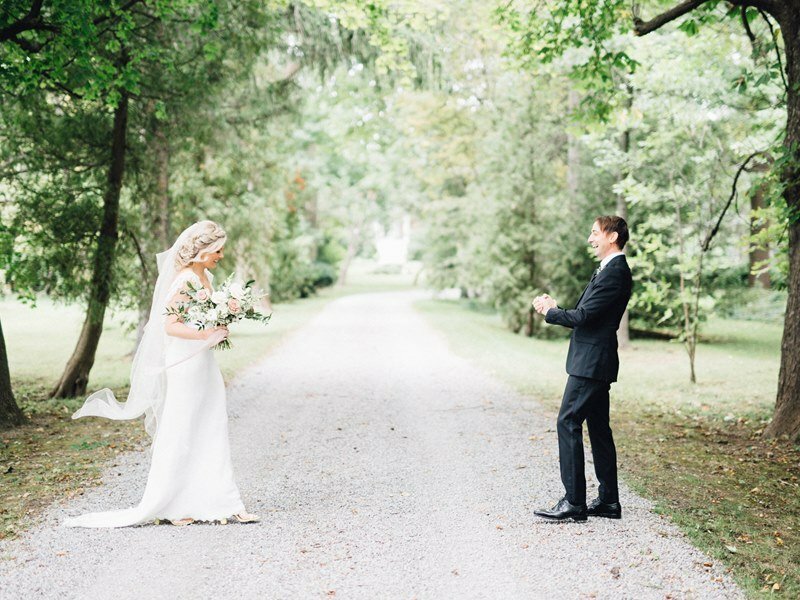 Brightside Films captures a gorgeous highlight reel of this stunning affair.